The aging population creates a great demand for allied health careers. A career as a pharmacy technician is just one of the many allied health careers you might explore. Greater life expectancy, development of new drugs, and a shortage of pharmacists create employment opportunities for pharmacy technicians. According to the Bureau of Labor Statistics, pharmacy technician jobs will grow 11 percent through 2026. So if you want to prepare for a career where employment opportunities abound, consider a career as a pharmacy technician. Pharmacy technician classes in California cover a period of 3 to 6 months. At the conclusion of the program, students are prepared for success on a national certification exam. Certification will augment your training and provide an additional credential to increase your competitiveness. 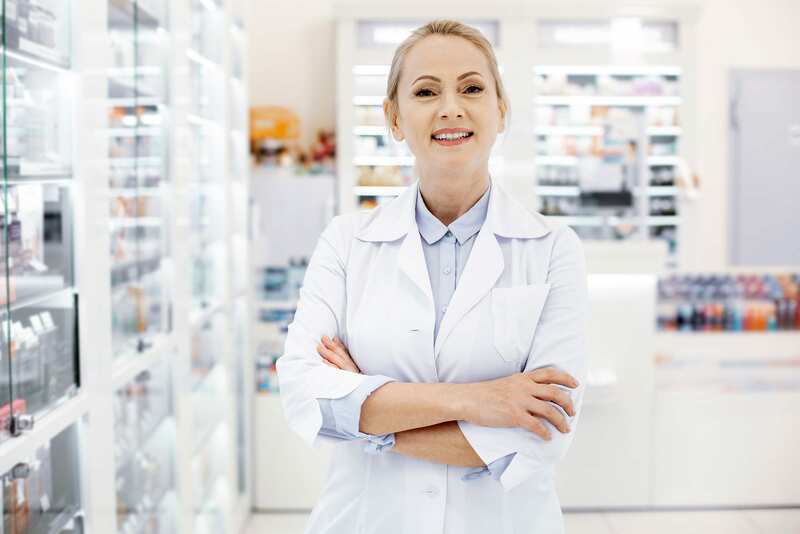 Pharmacy technicians work with pharmacists and the rest of the healthcare team to stock inventory, attend to customers, receive and prepare prescriptions for distribution, package and label medications, and maintain patients’ profiles. They work in retail pharmacies, hospitals, clinics, mail-order pharmacies, and other healthcare settings. The Pharmacy Technician program at Vista Adult School provides the training adults need to become skilled pharmacy technicians. The program has two parts: Pharmacy Technician I and Pharmacy Technician II. The coursework covers identification of drugs, medical terms, dosage calculations, packaging and labeling, drug dosages, identification of drugs, abbreviation and symbols, routes of administration, and dispensing medications. The program includes theory and hands-on lab and meets the requirements of the California State Board of Pharmacy. The Pharmacy Technician II program takes the training to another level. It includes additional training to prepare students for employment in a hospital pharmacy to improve their marketability. Students learn how to enter data and manage inpatient medication, prepare intravenous medications, fill medication orders for patients, transport medication to nursing floors and patients’ rooms, follow pharmacy protocols. The Pharmacy Technician II program can be completed in 6 weeks. Contact the school for a current schedule of programs. PIMA Medical Institute pharmacy technician program prepares adults for a rewarding career in the growing field of healthcare. Adults acquire the skills to function as a liaison between the customer, pharmacist, and physician. They learn how to receive, verify, and prepare prescriptions for dispensing, mix intravenous solutions, receive electronic prescriptions, and mix, pour, and count medications. Other skills include receiving written prescriptions and request for refills, stock and inventory prescription medications, and verify prescriptions for accuracy. Course topics include anatomy and physiology, computer basics, CPR and First Aid, pharmacy math, pharmacology, inventory maintenance, pharmacy law and ethics, pharmacy technician duties, principles of customer service, fundamentals of chemistry, pharmacy laboratory skills, and pharmacy externship. The program delivers a total of 35.5 credits. The total number of program hours is 840 and includes 350 hours theory, 250 hours of lab, and 240 hours of pharmacy externship. Day and evening schedules are available. The day class is designed to be completed in 36 weeks and the evening class is 41 weeks. Students have the option to earn IV certification. Tuition for the program is $14,576. Brightwood College delivers the skills and knowledge adults need to become a pharmacy technician in just 36 weeks. 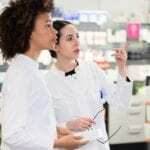 The program includes hands-on training and academics the support the development of foundational skills to assume an entry-level position in the field of pharmacy. Students learn how to prepare prescription medications, authorize prescription refills, safely handle medications, file insurance claims, and transcript doctors’ orders. They also learn how to select drug products, maintain patient profiles, and prepare unit dose medications, IV admixtures, and sterile irrigations. Course modules include Fundamentals of Allied Health, Introduction to Allied Health Careers, Academic Strategies, Academic Skills, Nervous and Sensory Systems, Motor Systems, Hospital and Retail Pharmacy, Pharmacy Technician Procedures and Skills Review, Pharmacy Technician Seminar, Absorption Systems, and Pharmacy Technician Externship. The program covers 760 contact hours including 520 hours of classroom instruction and 240 hours of digital instruction. All students must complete 59.5 quarter credit hours to graduate from the program. Before graduating, students must participate in a 120-hour pharmacy externship. Graduates are prepared for success on the PTCB national certification exam. Tuition for the program is $15,647 and does not include the cost of books and supplies. The pharmacy technician program at Southwestern College is highly interactive, giving students an enriched learning experience. Students acquire the knowledge and competencies to succeed in the field of pharmacy. The program is delivered on in an online format and includes round the clock instructor support, healthcare content to supplement each course, student exercises, interactive labs, and course videos, online tracking of students’ performance, and the opportunity to prepare for national certification. Course topics include the history of pharmacy and healthcare, types of pharmacies, basic biopharmaceutics, routes and formulations, drug regulation and control, pharmaceutical terminology, drug names and drug classes, inventory management and financial issues, and Total Parenteral Nutrition. Other topics include pharmacy calculations and math review, prescription and labeling, pharmacy technician role and responsibility, drug regulation and control, brand name and generic drugs, information and pharmacy resources, and basic IV solutions and calculating 24-hour supply of IV solutions. Students have the option to complete a pharmacy externship at a local pharmacy. Meet the requirements for the pharmacy externship – based on partner requirements. Tuition costs $1,299 and includes textbooks, workbooks, and other course materials. The pharmacy technician program at UEI College prepares adults for an entry-level pharmacy technician position in a community or institutional pharmacy. Students learn how to prepare dosages and solutions and prepare medication in sterile and non-sterile environment. The program has nine modules. The first eight modules are 80 hours each. Each module covers classroom and laboratory skills instruction. It will also include test and quizzes to determine students’ progress. The final module is a pharmacy externship comprising of 120 hours of supervised practice in a community or hospital pharmacy. Course topics include sterile preparation, internal medicine, pharmacy law, pharmacology and compounding, hospital pharmacy procedures, retail pharmacy procedures, retail pharmacy operation, and health insurance billing. The 34.5-semester credit unit program is designed to be completed in 36 weeks.